Anyone up for a movie? | Feed Me, Milwaukee! 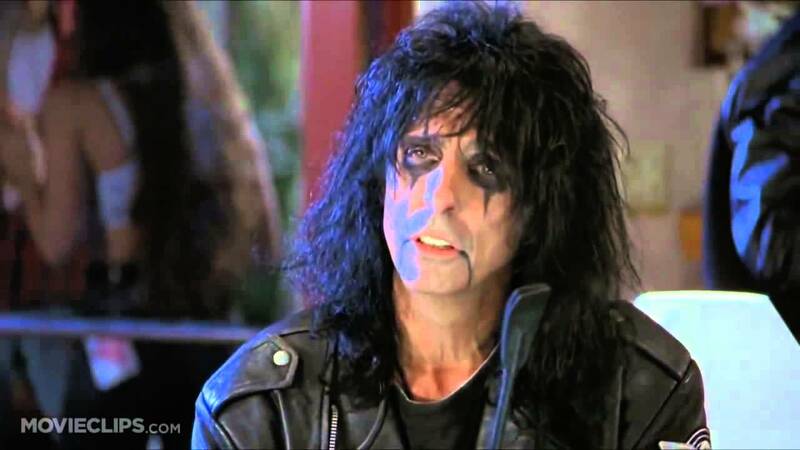 Alice Cooper: Actually, it’s pronounced “mill-e-wah-que”, which is Algonquin for “the good land”. During the summer, along the Milwaukee lakefront at the Discovery World museum, Point Brewing Company sponsors a free four-night outdoor movie event known as “Point Fish Fry and a Flick“. Catered by none other than Milwaukee’s most prolific restaurant mafiosos, the Bartolotta brothers, and serving Point beer and Ciderboys hard cider, the Point Fish Fry and a Flick has become a modern movie tradition in Milwaukee. The events, starting at 5pm on selected Fridays, are free to attend, although you are charged for food and drinks (cash this year, as opposed to the all-too-frequent food tickets). The films themselves will start when the sun goes down (between 8 and 9pm), so don’t be in too much of a hurry. Food and drinks are cash-only (though ATMs are available), and bringing your own food or drink is disallowed. Keep in mind, the fish fry will typically not be available after the movie has started, so order early. Some seating is available under the main tent, but chairs and blankets are also allowed on the lawn. Follow the event on Twitter at @FishFryAndFlick.